There has been an uptick in lawsuits being settled by major telecom carriers. The FCC recently announced telecom giant Verizon Wireless will pay $90 million and Sprint $68 million to settle accusations that companies were billing customers millions in unauthorized third party charges. While the FCC was able to assist in this particular instance, it is most commonly the responsibility of the organization negotiating with the telecom provider to spot sub-part terms and conditions to prevent those hidden charges. And when those contract items are missed, it is the organization’s heavy undertaking to get those charges credited back. Room for Pricing Negotiation—you may often hear that your current rates are the lowest you’ll be able to receive. Carriers often have much more regulation over their enterprise clients pricing than they would ever likely admit. Even if the carrier is unable to directly lower pricing on services, there are discounts that should be considered in equipment purchases (i.e. free phone units). 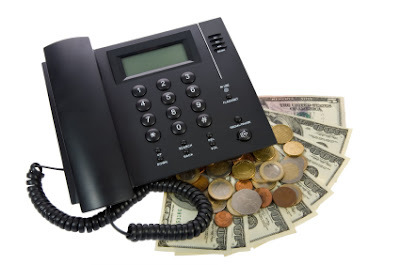 Cramming—telephone companies sometimes allow third party vendors to place charges on their clients’ accounts. Consumers should never be held responsible to pay for charges they did not request. Cramming is illegal and any service found doing such should be indisputably removed and the customer compensated. Maintenance Charges—if a service or equipment is interrupted due to an underlying issue on the carriers behalf, why should the client be left responsible to pay for a maintenance visit? Including clear and concise SLAs within a contract can aid in this area to help ensure you are not being unfairly charged for the carrier’s corrective actions. Redundant Features—features like voice mail and GPS use to be necessitated as add on. With the prevalence of smart phones many of these features are included on the physical equipment and do not need to be purchased individually. PICC Charges—are aimed at compensating the local telephone carriers for the costs associated with providing "local loop" service. These are carrier specific charges and a competitive pricing issue. Because some companies simply do not charge this at all, it can be used as a point of negotiation to have these fees waived. Disconnected Services—even though a disconnect request has been placed, unless monitored these services may still continue billing. That is why including some type of timeline for action on disconnect requests within your contract is imperative. Commitment Terms—your organization may take an unexpected hit or sell off a business unit. A business downturn contact clause protects you from still being solely responsible for the services in these instances by allowing you to either reduce your original commitment levels (i.e. spend) or furthermore possibly migrate to an alternative technology. Alternatively, your organization may invest in new technologies and services during an expansion or technology change. In this case, ensure that any new spend will count towards your commitment levels. Recovering Overcharges—related to the above points, carriers often leave it solely up the customer to identify any billing errors. As a customer you have up to two years to pursue the recovery of any overcharges. It is important to confirm that these rights are stated within your contract. Voice Minute/Data Usage Balance—clients tend to overestimate minutes needed, and underestimate data usage. Do not get stuck paying thousands in usage overage charges every month. While negotiating, consider the type of pooling and overage protection options the carrier has available. Early Termination Fees—the ideal scenario while negotiating your contract would of course be “termination without penalty”. This gives your organization maximum leverage when requesting anything from your carrier. Receiving termination without penalty from a telecom carrier is rare. While it is more common to have early termination fees for your services, this does not always consequentially mean you have to wait until end of contract to terminate services. It may be more cost effective to terminate services before and pay the early termination fees. While drafting contracts you may also want to include the option to terminate services if certain SLAs are not met. As you can see there are certain legal clauses that can be included in contracts to help ensure that your organization does not fall victim to these types of unjust charges. While constructing a strong contract goes a long way to combat these unanticipated charges, it is imperative to consistently monitor your monthly billing charges on your invoice. If not monitored these problem areas turn into invoice mischarges , becoming more tedious to remove as time progresses without action toward correction.